Hunter Henry Torn ACL, Who Will Step Up Now? 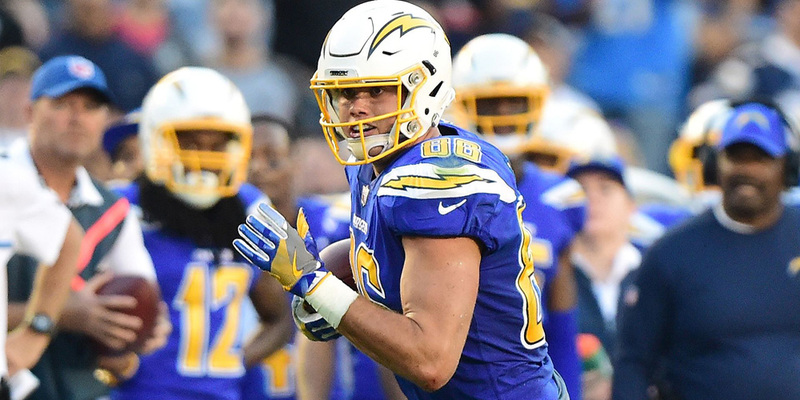 Tight End Hunter Henry suffered a torn ACL at Chargers OTAs on Tuesday, ending his 2018 season. The Fantasy hype train left the station a while ago for Henry, as the third year TE was expected to be a major focal point of the Chargers offense this season. Henry was expected a larger role after the departure of long-time respected veteran Antonio Gates. According to ESPN’s Adam Schefter, the Chargers told Gates the team would not be re-signing him in late April. However, due to the Henry injury, there is a strong possibility the team reconsiders that decision. Who Will Step Up For The Chargers? Currently, the next man up on the roster is 29-year-old Virgil Green. Green signed with the Chargers in mid-March, who previously was a seven-year depth player for the Denver Broncos. Green’s biggest season in terms of fantasy production came in 2016, where he had just 22 receptions for 237 yards and one score. Green could see an increased role, but I’m not targeting him in leagues. One of the biggest problems fantasy owners have when trying to scout for fantasy sleepers is thinking outside the box. Sure, the logical target would be Green or Gates (if they re-sign him), but considering this injury happened in May, the coaching staff does have time to adjust their offensive if they choose to. The Chargers started slowly in 2017, but finished 4th in total offense, averaging 376.6 yards per game. Philip Rivers finished second overall in passing with 4,515 yards, while Melvin Gordon ended the season seventh in rushing with 1,105 yards. 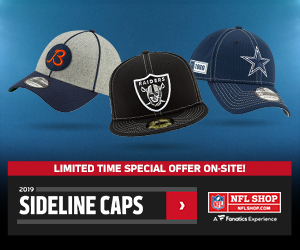 The fanbase was split on the decision to bring Offensive Coordinator Ken Whisenhunt back for another season, but building on last season should be good for team chemistry and for adapting to the recent loss to Hunter Henry. Hunter Henry was a big man, standing tall at 6’5 and weighing 250lbs., but in terms of lost size, the Chargers aren’t struggling for big bodies. Keenan Allen (6’2), Tyrell Williams (6’4) and 2017 first round pick Mike Willams (6’4) are all above average wide receivers. If you’re a dynasty owner trying to deal with the loss of Hunter Henry, I feel for you. He was an up-and-coming Tight End and was expected to have a big season. However, if you’re looking to find a sleeper from the Henry loss, I’m putting my money on Mike Williams. Despite the industry’s dislike for Ken Whisenhunt, I feel his offense can adjust with the current surrounding talent. Mike Williams struggled with staying healthy last year but was a huge weapon for Clemson in 2016, which was the reason the Chargers drafted him so high. I feel the loss of targets from Henry won’t all go to a backup Tight End, instead, they’ll be shifted more towards the WR group, especially second-year man Williams. I’ll be watching the ADP of Mike Williams in the coming weeks and plan to have a follow-up piece in mid-June. 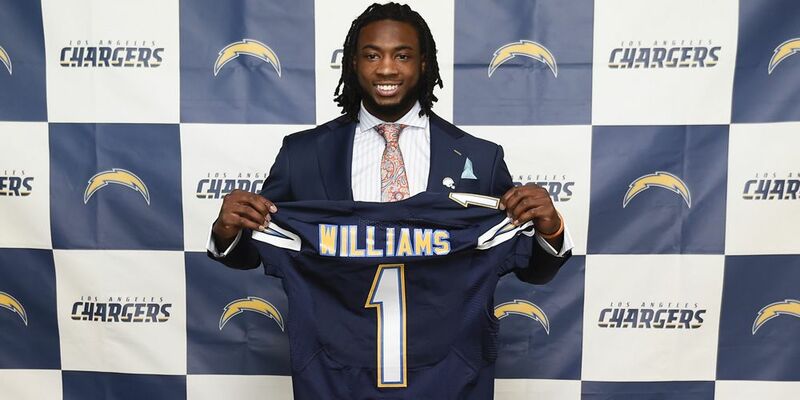 As a die hard Chargers fan, I love the faith in my boy Mike Williams! Then again, I know Rivers loves his safe targets under pressure. Without a tight end he trusts (assuming absence of Gates), that slack might be picked up by Keenan. If the TE spot still remains iffy when the season rolls around, I’ll be expecting Keenan to see a bump in red zone targets.